Home » Blog » How can public sector organisations manage the big peaks? When it comes to staff, hardware and infrastructure capacity, managing the peaks and troughs of demand for any organisation requires having a robust plan in place. For public sector organisations, some peaks can be predicted. Whether it’s the last few days of the tax self-assessment window, the weekend at A&E, or A-level results day for universities – these cyclical peaks can be foreseen and therefore prepared for. However, other big peaks in traffic can come out of the blue. It can be a major political incident, media-fuelled frenzy, or system breakdown – unexpected demand with no rigorous coping plan can overload both staff and infrastructure. Government budget purse strings are continuously being tightened. This means there’s always a need to do more with less. But scaling back on operations or scrapping services due to lack of funding need not be the first route to saving money. Government organisations should look at how they manage peak demand and find alternatives for creating cost efficiencies. Cloud solutions, such as SIP trunking, can be the ideal solution. A modern telephony solution can create huge cost savings, especially when demand on voice infrastructure tends to peak and trough. SIP trunking allows for the easy management of line capacity – meaning there’s no longer a need to pay for redundant line rental and lines can be added, and removed at short notice. What’s more, by adding extra capacity to cope during peak times, call forwarding costs can be eliminated. An inbound call management platform can also help to effectively route inbound calls – even if there is heavy load on the system. Calls can be queued and recorded messaging provided continuous progress updates can be set. With no calls missed, and call abandonment rates reduced, organisations can uphold their service quality in times of peak demand. SIP trunking’s cloud-hosted nature means that achieving scale is simple. With no large capital outlay required, an organisation’s telephony system is now flexible and adjustable according to needs. Both expected and unexpected peaks can be more easily handled. 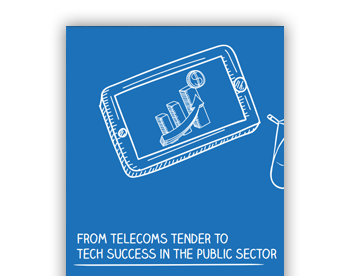 SIP trunking has already proved its worth for many public sector organisations. A noticeable case is De Montfort University (DMU). DMU is one of the UK’s top research universities, and in 2011, they faced major problems when the UCAS website went down. With no information available online, the university received an unexpected flood of calls. This resulted in DMU’s legacy telephone system crashing under the pressure, with callers looking for university places unable to get through. Having learnt from the experience, DMU decided to upgrade their ISDN-based system to SIP trunking. The university managed to save over £3,000 per quarter alone, and the following year were able to receive 8,000 calls in the first day of Clearing, with not one missed. Peaks will differ across various public sector organisations. Regardless of the nature of demand, a modern telephony system can help organisations avoid strained internal resources and keep service quality levels the same. By implementing SIP, public sector organisations can operate using a cost effective infrastructure for most of the year. Its adaptable nature means capacity is increased only when demand peaks, and with no redundant hardware leftover during troughs.